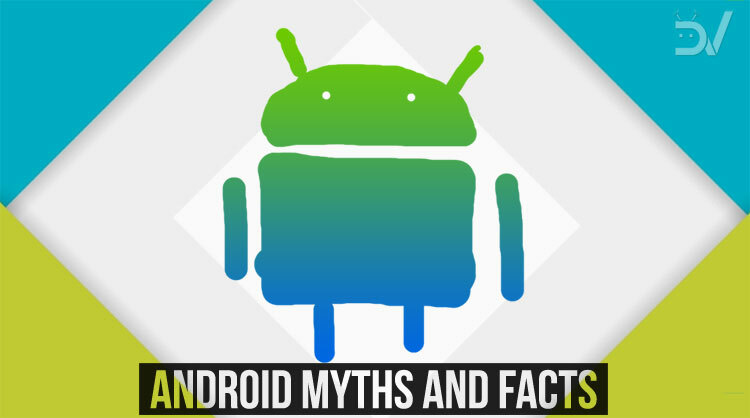 In this article about Android myths and facts, we’ll be busting 10 urban legends about the world’s most loved OS for smartphones. Read on to explore all. The Moon mission was a farce. The Illuminati is a secret society set to take over the world. Android is a mobile Operating system meant only for the geeks. Wait! Yeah, that’s the myth that shall be debunked today. Android myths affect our everyday lives more than the other two anyway. The number of myths associated with the world’s most popular mobile operating system far exceeds the number of competitors it has. Just the sheer number of devices running Android worldwide is crazy. It is, therefore, natural for the Google-made Operating System to be misunderstood most often than not. The disparity in the Android ecosystem in terms of features and performance further fuels these delusions. Android devices are as quick as competing alternatives. There, we said it. Long gone are the days of Android Eclair and Kitkat which were riddled with somewhat recurring stutters and lag. With Android 4.1 Jellybean came Project Butter, and with Android 5.0 Lollipop, Google switched to ART (Android RunTime) from Dalvik. Since then, the Android OS has gone through various evolutionary changes and chipsets have become manifolds more powerful. Together, all these improvements have brought its performance on par with the competition. Devices like the Google Pixel and Oneplus 3 in 2016 gave the iPhone 6S/7 a run for its money in terms of true speed. In 2017, almost all major Android flagships are on par with current-gen iPhones in terms of performance and interface responsiveness. 2. Android devices don’t Age too well and Get Slower with Time. This is tricky. Pure Android is pretty lean, with its completely customizable underpinnings intact. But, certain OEMs (*cough* Samsung, LG, Xiaomi *cough*) add their own skins to Android to stand apart from the crowd. The point is, these skins and lack of optimization on OEMs’ part are two of the biggest reasons that some devices stutter more frequently than others. Case in point? The Google Pixel and OnePlus 3 from last year, to this day, perform almost as good as they did on Day 1, all thanks to their close-to-stock ROM and under-the-hood optimizations. 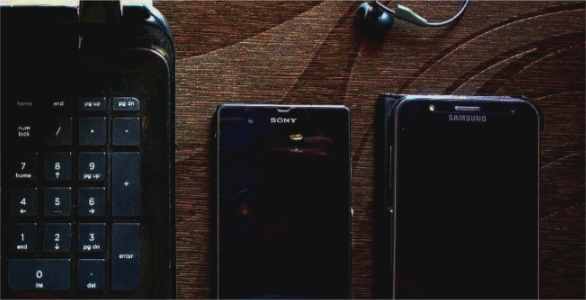 Even older devices from the Nexus line, Motorola, and Sony (to an extent) have been revered for aging on par with expectations over the years. Honestly, it wouldn’t take a moment for me to put a lion’s share of the blame on Samsung for this Android myth. Samsung devices surely are feature-packed to the brim, but most often than not, they are plagued with slow-downs over time. With the Galaxy S9, Samsung seems to have improved on this front with a cleaner non-Touchwiz Android ROM now branded as Samsung Experience UI. We will have to wait and watch. In a perfect world, however, we shall be able to pocket a top notch device from any of the Android OEMs with an almost stock, svelte Android interface. Google Play Edition devices, iteration 2, anyone? Android’s humble beginnings were deeply rooted in its potential for customization. While customization has remained at the core of the Android experience; fluidity is no longer an Achilles’ heel for Google’s baby. 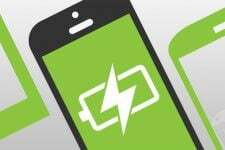 In fact, recent Oneplus devices, Moto flagships, and the Google Pixel line of devices present shining examples of efforts put in by Google and OEMs alike in this regard. For reference, just the evolution of the Notification panel and the Settings menu from Android 6.0 Marshmallow to Android 8.0 Oreo is exemplary for competing mobile operating systems. Reviewers and tech aficionados across the board have hailed the minute controls and clear segregation of features in Android. 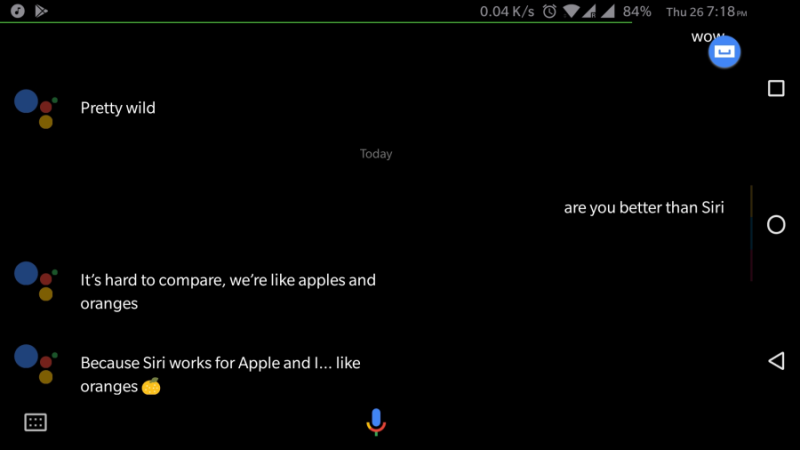 Google Assistant vs Siri (vs Cortana) has always been a battle garnering a lot of attention from geeks around the globe. Artificial intelligence is the way the industry is moving forward, and everyone agrees on the fact that this is Google’s playground. Data drives AI, and Google simply has no dearth of data to adapt and improve its machine learning algorithms. Siri does achieve a lot of actions with style, but Google Assistant is simply better at getting things done, and it is definitely learning to improvise! Android runs on a range of devices with several chipset configurations. The price points for Android devices vary from sub-$200 entry-level smartphones to true flagship competitors that hit the $1000 mark. It surely is a challenge for Android app developers to target all these devices and screen DPIs. But Google, on its part, has taken huge strides to make the job easier for developers with under the hood changes and adaptive screen resolution implementation for apps. In fact, app crashes and hang-ups on iOS are as frequent as on Android, if not worse. So yes, this is one of those Android myths which are simply borne out of misconceptions about basic fundamentals. But yeah, you simply cannot expect apps to perform the same way on an entry-level device as they do on flagship phones. Top notch performance should be expected from top-notch devices, don’t you agree? This was true for the initial iterations of Android. But Google on its part has implemented multiple measures to make Android better. The implementation of monthly Android security patches and integrated Play Store App scan are just two of the steps that Google has taken in this regard. Android’s unrivaled reach across the globe has acted as a motivation for spammers and hackers to create malware for the platform. However, there is hardly any reason for concern if you are on the latest Android monthly security patch. Just be vigilant with your browsing behavior, avoid apps from unverified sources, and that’s it! We do partially agree with this myth. It takes months, and in some cases even a year, for the latest versions of Android to reach end-users on-time across OEMs and device configurations. This is not a myth. Except for the Google Pixel/Pixel XL, Android updates do take a lot of time to seed to most devices. As a rule of thumb, other devices with close-to-stock ROM are always second in line to receive the latest and greatest that Google’s mobile OS has to offer. Once upon a time, there was an operating system in its infancy. The OS didn’t just have to be good at one thing, but rather, was determined to be like a swiss army knife. With age, it gained new tinkering and customization abilities and developed enough computational intelligence to become the true go-to OS for mobile computers. But it still had a tacky appearance. This changed with Material design – the design philosophy adopted by Google with the Advent of Android 5.0 Lollipop. With pretty neat tweaks over iterative updates on this design philosophy; today, Android UI stands on par with iOS. Samsung Galaxy S8, Note 8, LG V30, Sony Xperia XZ Premium, Xiaomi Mi Mix 2, Essential PH1, HTC U11 – ever had a hands-on with these devices? Several current gen flagship Android devices showcase the pinnacle of gorgeousness and industrial design elements. Yes, Apple was the industry leader in terms of design aesthetics and attention to hardware quality until, probably, the Apple iPhone 5S. This myth about Android itself is rooted in that same fact because Apple did seem to have a considerable lead with its hardware build for a while. But over the past few years, the tables have turned. The Apple iPhone X does seem to be a great stride towards redeeming the Apple brand. I will just refrain from talking about that odd Statusbar eyebrow and the aesthetically challenged back panel. My bad, I actually did. Long story short, this myth about Android devices should have been swept under the carpet a long while back. Well, this one’s partially true, and a pretty complicated one to explain. Let me take a shot of caffeine. Okay, there’s more to the Android myths surrounding spec sheets than what meets the eye. Remember the time when we thought Megapixels was all that mattered for Camera quality? Other than Nokia, with its PureView Camera technology, few other OEMs could translate huge megapixel count into drastic improvements in image quality. Megapixel count just meant higher camera resolution and was even used as a Marketing gimmick by certain manufacturers. Today, the Megapixel myth has almost faded away as camera technology has evolved and focus has shifted on low light performance, better sensors and overall color accuracy, HDR, and sharpness. So, that’s that. But today, there are certain internal specs that are marketed as if they directly transpire to a great user experience. Yes, I am talking about the Chipset, RAM, Screen resolution, and every other spec that you see on those giant advertorial billboards and newspapers. Top notch specs are essential to a great experience. But it’s not a guarantee for a flawless real-world performance. The Moto X was probably the first phone that ditched top end internals and still gave competitors a run for their money in terms of everyday performance. Even now, there’s one device that single-handedly decimates this urban legend – Google Pixel. Even with specs almost identical to other flagships, the Pixel has offered a flawless, buttery smooth user-experience second to none. Again, the Oneplus 3/3T also deserves a special mention in this regard. I can’t say much about recent flagships because there’s still time to see how they age an year from now. Also see: What are Android Security Patches and Should We Care About Them? Urban legends are fueled either by pulp fiction or by our reluctance to acknowledge their redundancy over time. There, we just gave you a great quote for your next social media update. If we deserve brownie points for that, don’t forget to share this with your friends and let Android naysayers distinguish the myths from the facts. 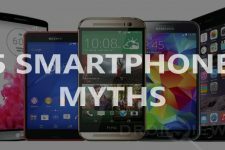 Do you have your own points to add or are there other Android myths that you believe are, in fact, true? Don’t agree with a couple of my viewpoints? Share your views in the comments section below.